Until now, the consensus has been that Petraeus began an affair with his biographer, Paula Broadwell, in the fall of 2011, after he retired from the military and took over the CIA. Lt. Col. John Nagl, a friend of Petraeus, claims the Petraeus-Broadwell extramarital affair did not begin until after Petraeus became CIA director, which was in September 2011. And retired US Army Col. Steve Boylan, a former Petraeus spokesperson, says the affair did not begin until several months after August 2011, when Petraeus retired from the Army. But documents—researched by WhoWhatWhy and published for the first time as part of an investigative partnership with WikiLeaks—suggest otherwise. These documents characterize Petraeus as having regular dinners in early 2010 with Abdulwahab al-Hajri, then Yemen’s ambassador to the US, and note that Petraeus brought to at least one of those dinners a woman “not his wife”—whom the Yemenis believed was “his mistress.” It’s possible—although not confirmed—that this woman was Paula Broadwell, Petraeus’s biographer and mistress, who sent allegedly threatening emails that spawned the strange FBI investigation that precipitated the former Army general’s resignation on November 9, 2012. Petraeus’s attorney, Robert Barnett, declined to comment. According to the Stratfor emails, Petraeus brought a woman believed to be his mistress to at least one dinner at al-Hajri’s house as early as January or February 2010. 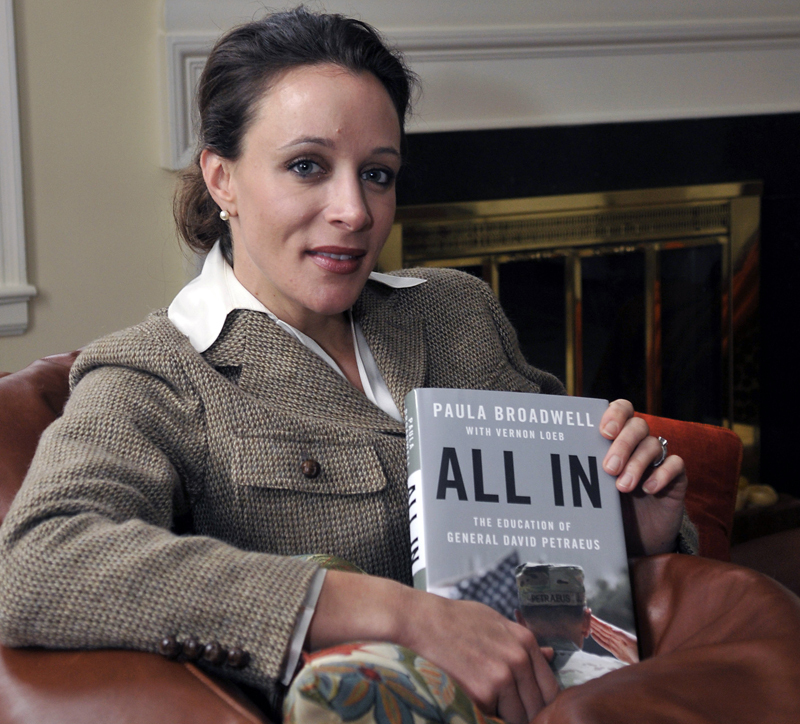 It is known that by late 2010, after Petraeus took command for the Afghanistan war, Paula Broadwell had already established what has been called “unfettered” and “unprecedented” access to Petraeus, including lodging on his Kabul base. By bringing to such a gathering a younger woman who aroused such suspicion, Petraeus was already exhibiting the kind of recklessness not uncommon to highly ambitious people on the rapid ascent. This was especially true given the stakes involved—and Petraeus’s own formidable enemies within the US government. If the young woman was Broadwell, her willingness to accompany a top military official to such a closed-door, high-level event should draw additional attention to her thinking and motivations. Broadwell was a military intelligence reservist—and her take on what was discussed at precisely those kinds of dinners would have been of interest to her superiors. 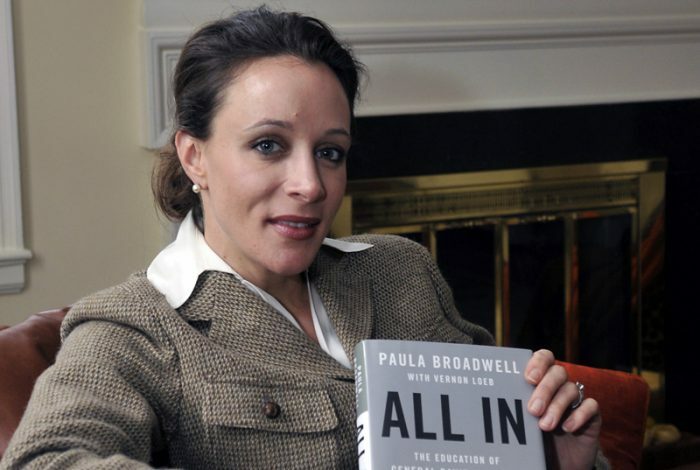 By the date of these 2010 dinners, Broadwell had known Petraeus for four years—and had been working closely with him on his biography since the previous year. She says she first met him in the spring of 2006, when she was a graduate student at Harvard’s Kennedy School of Government and asked if she could write his biography. She began work on the biography in 2009 when he headed CENTCOM, the US Central Command. With the biography as her justification, she followed him to Afghanistan where he led the US forces. Thus, if Stratfor’s Yemeni diplomat source is correct, and the woman was Broadwell, an attractive military intelligence reserve officer was far more deeply entwined than previously known with a controversial, fast-climbing figure at the center of some of America’s and the world’s hottest disputes—at the risk of compromising him and his future. In an interview with us, al-Basha confirmed that Petraeus dined with Abdulwahab al-Hajri at the former ambassador’s house in DC for “an event or a party” while Petraeus was head of CENTCOM. Petraeus was CENTCOM commander from October 31, 2008 until July 18, 2011— which is within the scope of the Stratfor emails and before the dates Nagl and Boylan give for the start of the affair. Al-Basha told WhoWhatWhy he had “no idea” whether Paula Broadwell attended a dinner with Petraeus and the Yemeni ambassador. “I have no idea. No, no, I have no idea,” he said. “That’s the first I’ve heard this.” He then denied being Stratfor’s source. In Email-ID 90306, sent February 5, 2010, Stratfor Watch Officer Michael Wilson tells the firm about a champagne party where he learned that Petraeus brought an intriguing woman to a dinner with al-Hajri. The email states that a Stratfor source, a “Yemeni diplomat based in DC” and handled by Bhalla, provided the information. Unless Stratfor has multiple Yemeni diplomat sources in DC handled by Bhalla, that source is al-Basha. Furthermore, the WikiLeaks cache appears to contain no email contacts with any other Yemeni diplomats. Having acknowledged the Petraeus/al-Hajri dinner, al-Basha nonetheless requested that the event not be reported. Then, in a follow-up email exchange, he cited an unnamed former colleague’s assertion that “the General never came over with his biographer to any of our events public or private.” That statement is constructed in such a way that it does not actually deny Petraeus’s presence at the dinners with a woman who was not his wife, or even deny that the woman was Broadwell. Technically, it only excludes a scenario in which Petraeus arrived with Broadwell. We were unable to clarify further because repeated requests that al-Basha identify the former colleague went unanswered. A 2010 US diplomatic cable published by WikiLeaks reports that on January 2, 2010 — that is, around the time of Petraeus’s dinners with the ambassador — Petraeus met with then-president of Yemen Ali Abdullah Saleh, who, referring to secret US air strikes in Yemen, promised Petraeus “We’ll continue saying the bombs are ours, not yours.” Broadwell’s biography of Petraeus, All In: The Education of General David Petraeus, briefly mentions Petraeus trips to Yemen, but does not indicate if she went along. Email-ID 1204569, sent September 4, 2010, while Petraeus was CENTCOM commander, contains Stratfor analyst Bhalla’s report of a discussion over hookah (“sheesha”) with her “Yemeni diplomat source” and two younger sons of President Saleh. CENTCOM leaked their rec for $1.2 billion assistance funding for Yemeni special forces (this was all Petraeus, who has a very good relationship with the Yemenis and goes to the Yemeni ambo’s house pretty regularly for dinner.) The Yemenis are nervous about [General James] Mattis taking over Centcom. They could deal well with Petraeus, whom they consider a ‘diplomat.’ Don’t know yet how to read Mattis. A careful look at the map reveals that Yemen is the hinge between East and West. The Bab-el-Mandeb – which links the Suez Canal to the Indian Ocean via the Red Sea and Gulf of Aden – highlights Yemen’s vital geostrategic location. Most will be familiar with the strategic and economic importance of the area, particularly the Canal, which remains at the heart of world trade and commerce. [A] restructured, well-led and well-equipped Yemeni Coastguard active in the Red Sea and Gulf of Aden could be leveraged in support of Combined Task Force 150 and Gulf Cooperation Council (GCC) forces to counter piracy and also quell the aspirations of both Al-Shabaab and Al Qaeda in the Arabian Peninsula (AQAP). Additionally, the US would have a trusted ally acting across the CENTCOM – AFRICOM boundary. One of the more revealing aspects of the Stratfor memos is their candor about the narrow and self-serving behavior of agencies and departments whose official justifications are too seldom questioned by the media. The month before this September 4, 2010 email, the Obama Administration had placed Anwar al-Awlaki on a “kill or capture” list. A little over a year later, on September 30 2011, a US drone strike killed al-Awlaki in Yemen without his having been charged, given any due process or trial, and without any of the evidence against him being made public—an unprecedented attack on a US citizen. [box] WhoWhatWhy plans to continue doing this kind of groundbreaking original reporting. You can count on it. But can we count on you? We cannot do our work without your support.Please click here to donate. There are 51 comments Our Comment Policy: Keep it civilized, keep it relevant, keep it clear, keep it short. Please do not post links or promotional material. We reserve the right to edit and to delete comments where necessary.